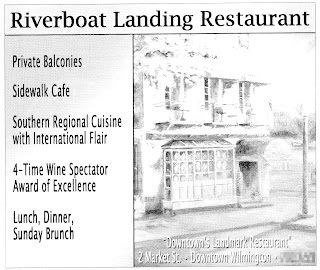 Here are a couple of advertisements I found in a local magazine, both for restaurants in the Wilmington area, and both that are punctuationally challenged. 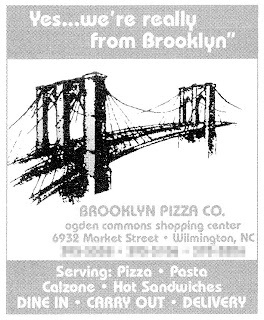 What strikes me about this ad is the quote, "Downtown's Landmark Restaurant." Why is that phrase in quotation marks? Is it something someone said? A comment made in a restaurant review? Shouldn't we be alerted to the context? This one's even more of a mystery. The headline ends with a quotation mark, but where is the opening one? Did they leave it back in Brooklyn?